Marketing people often talk about connecting emotionally with the target audience. Brands want to engage with us at an emotional level. They encourage us to like them on Facebook. Indeed, research often brings out emotional responses to products and services. So emotional benefits must be key to understanding what motivates people to buy, right? Perhaps not! In his book, Decoded, Phil Barden challenges this popular view of how brands should engage with customers. He argues that the use of emotions as a concept is one of the biggest barriers to effective marketing. The concept is “vague” and encourages subjective and flawed decision making. 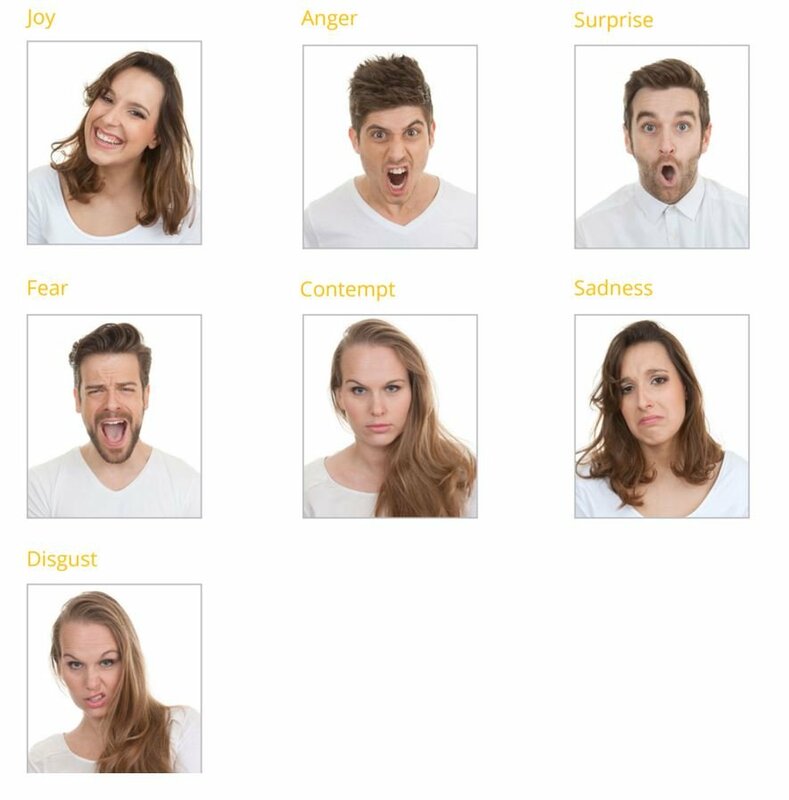 Sure there is extensive evidence to indicate that our decisions are heavily influenced by our emotions. They are involved in all our decisions and behavioural economists suggests that emotions such as fear, affection, arousal and hatred can explain why people sometimes behave irrationally. However, reliance on irrational behaviour doesn’t sound like a sustainable business plan. Apple and Amazon have strong value propositions that don’t depend upon the emotional state of their customers. Our minds are prone to predictable biases and as a result we make sub-optimal decisions, but do people really connect with brands at an emotional level? The brand police talk about how they have a strong brand and customers are loyal due to their emotional attachment. This is not supported by the evidence. The late Andrew Ehrenberg’s work suggests that emotional engagement with brands is much less prevalent than many marketers assume. Most brand loyalty is the result of habit and availability. 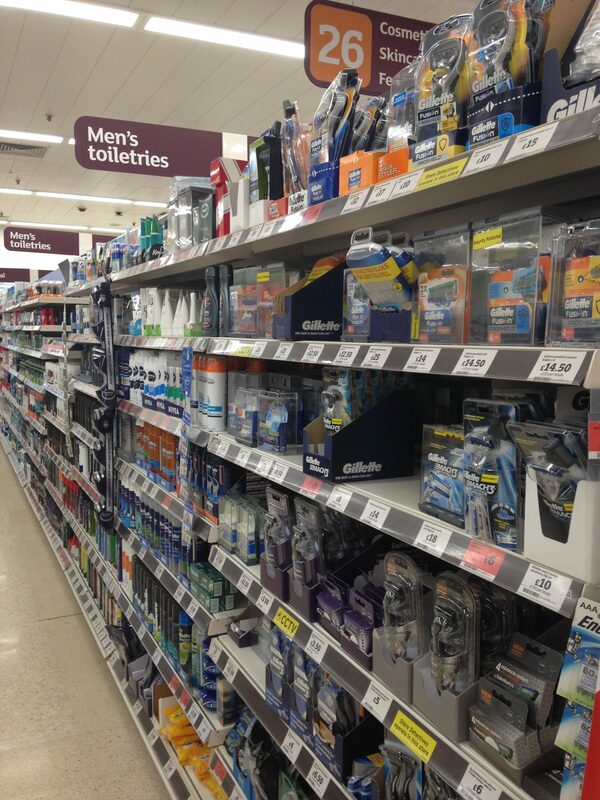 Habits though can be broken and if the latest product innovations aren’t available from established brands customers may soon move onto where they are more easily accessible. We only have to look at the likes of Nokia and BlackBerry to see how rapidly the once mighty can fall. 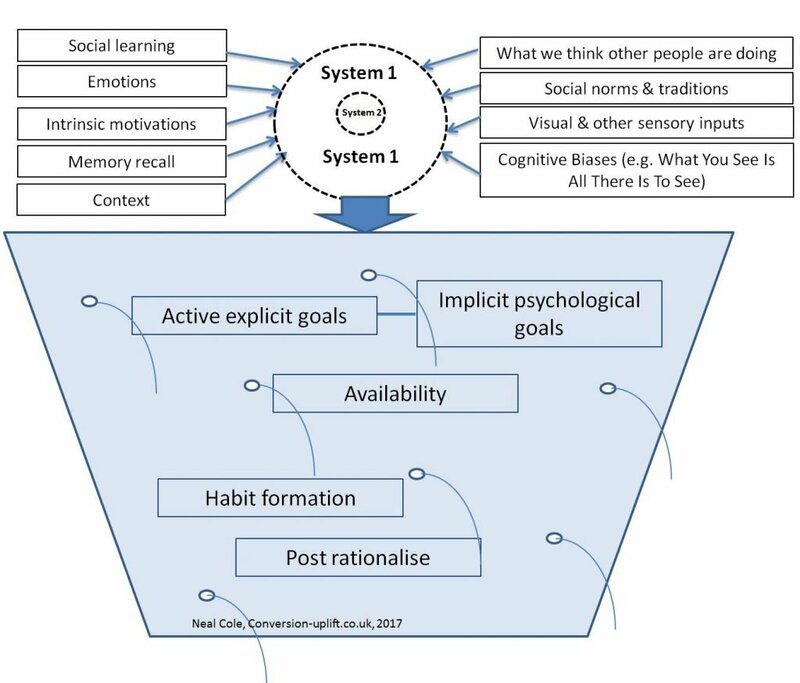 Our model of decision making – the behavioural economics decision bucket demonstrates how complex behaviour is. According to research by Mark Earls in his book Herd, our herd instinct is much more powerful than any wish to form a relationship with a brand. So why do people by products or brands? Scientists involved in neuroscience research suggest that products or brands that we value activate the reward system of the brain. This has been found to be a good predictor of future sales, much better than subjective likeability. The intensity of the brain’s response appears to be related to the value we anticipate the product will deliver. Price on the other hand activates a different area of the brain, the insula, which is normally a signal that we are experiencing pain. No wonder we are so strongly attracted to free offers as we naturally avoid pain and we are also loss adverse. Barden suggests that our brain’s reward system is activated by products or brands because they allow us to achieve our explicit and implicit (psychological) goals. The nature of our goals may vary according to our situation as we often have different motivations for purchasing a product according to what we are doing or where we are located. For instance we might want a tablet computer for work to demonstrate new designs and impress our colleagues, whilst on our commute it is about avoiding boredom and relaxing. Our brains are sensitive to the difference between reward and pain. If the difference is sufficiently large we may purchase a product. This ‘net value’ can of course be influenced by increasing the expected reward and or decreasing the pain/price. The very essence of many a marketing campaign. Our herd instinct of being influenced by what other people are buying also comes into play because this can affect the perceived value of a product or service. We don’t like walking into a deserted restaurant because our expectations are lowered, but we are happy to wait if the place is busy and vibrant. Goals also focus our attention so that even subconsciously we notice products and services that may help us achieve a goal. Products that we believe are most likely to help us achieve a goal get the greatest share of our attention. This may explain why consumers are drawn to guarantees and propositions that appear to promise a desired outcome. What Causes An Emotional Response? Market research is partly to blame for our fixation with emotional benefits. At a product or category level people usually intuitively understand why they want to buy a product to meet a certain goal. However, brands operate at an implicit, psychological level, that we have limited awareness of. When we achieve a goal though we feel good about it and it triggers an emotional response. Naturally people communicate these emotional feelings when they are asked direct questions about brands they have purchased. An experienced researcher understands this but business people are prone to taking research results literally. These underlying psychological goals are important to marketers because they allow brands to differentiate themselves from their competitors. Also by using signals that are associated with implicit goals (e.g. long established can indicate security) they can help increase the perceived value of a brand. 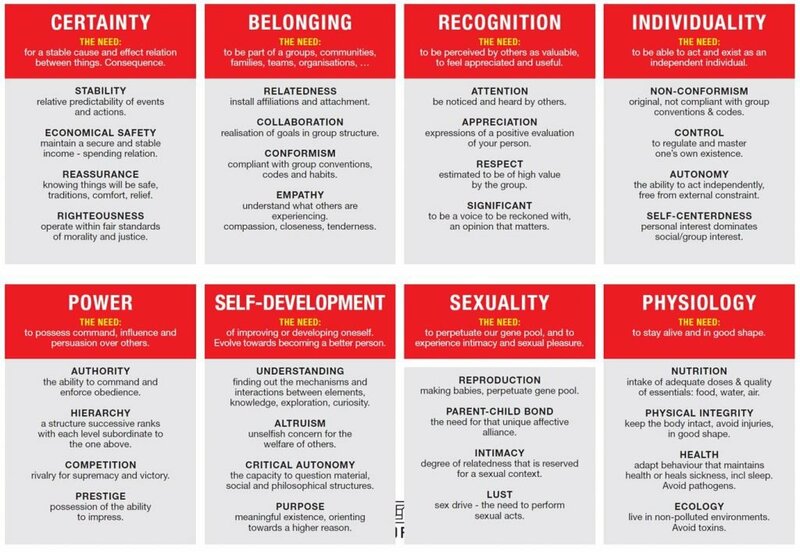 Marketing consultants, Beyond Reason, have developed a comprehensive model of these implicit, psychological goals that direct much of our attention towards brands. The model is based upon the latest research in the fields of neuroscience and psychology. Another myth that Barden explodes is that brands are like people and have personalities. Neuroscience suggests brands are objects to the brain. But the more important the goal the stronger we relate to a brand that is highly relevant to the goal. We may talk about brands as if they have personalities but this is more about the nature of language and how our use of analogies is central to how humans think. To be effective marketing activity needs to build an association between the usage of the product and goals that are most relevant to the consumer. This association makes the brand instrumental in achieving these goals. Barden points out that to create a compelling value proposition it is critical that we incorporates both explicit and implicit goals. By linking implicit to the explicit goals we may translate the proposition into signals which will activate mental concepts within the brain. If these mental concepts are more relevant to an individual’s active goal than those triggered by a competitors they will buy our brand. The evidence suggests that relatively few people connect with brands at an emotional level. An emotional response is triggered when people achieve a implicit/psychological goal and not necessarily because feel any emotion for the brand. Indeed, the research indicates that our brain sees a brand as an object and they may not have personalities as some marketing and advertising experts claim. Brands are a means to an end, not something we have a relationship with. This does not mean emotions are not important. All decisions probably involve some emotion, but they are not related to ’emotional benefits’, but rather a response to underlying goal achievement. An emotional response indicates we may be triggering a psychological goal, but it is also essential to have a strong link to explicit, rational goals. Without both our motivations may not be sufficient to result in a purchase. I hope you enjoyed reading my post and hopefully it may have generated a few ideas to improve the effectiveness of your marketing.